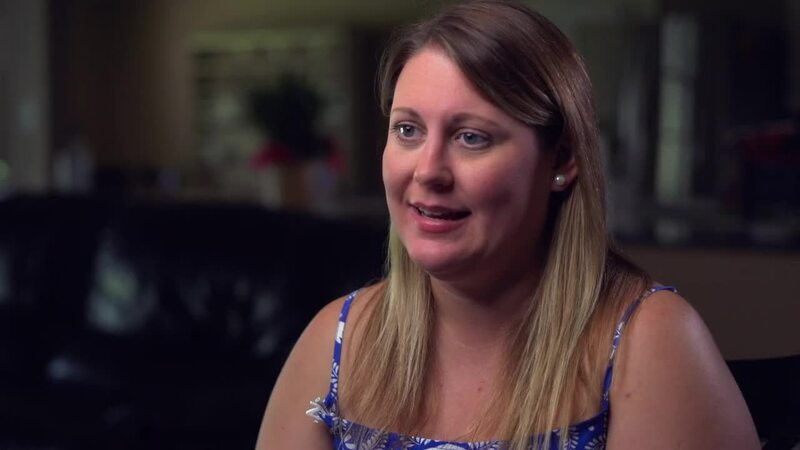 'Lauren Bray was sure she had ‘reached the end of life’s rope.’ Then she found a Kelsey-Seybold physician she believes was sent to her ‘from up above’ whom she credits with saving her life. “I was searching for a new primary care physician on Kelsey-Seybold’s website. I watched Dr. Steffanie Campbell’s video profile. Something told me Steffanie was the right doctor for me. I’m glad I chose her; she saved my life.” ~ Lauren Bray, R.N. Lauren’s health challenges began with neck injury incurred while cheerleading at Baylor University. The injury was exacerbated by a car accident. Recurring migraines with incapacitating symptoms reduced Lauren’s quality of life, confining her to a darkened room for an unending series of days. Over the years, she was treated by multiple physicians, but her condition didn’t improve. In declining health, Lauren felt hopeless. Then she found Steffanie Campbell, M.D., F.A.C.P., a board-certified Internal Medicine physician. With Dr. Campbell’s help, Lauren’s health improved – a lot. “Steffanie saw the condition I was in and immediately hugged me. No previous doctor had ever done that. I felt enveloped in warmth-like I was in the hands of an angel from up above. “Dr. Campbell never gave up on me like the others had. She fought for me, and when things seemed darkest reached deep into her medical expertise and helped me. She saved my life,” Lauren said. That was not the end of Lauren’s health challenges. Before Lauren could return to the quality of life she now enjoys with her family, she would need successful treatments from two more Kelsey-Seybold physicians: Holli Smith, M.D, F.A.C.O.G., a board-certified OB/GYN physician; and Kanza Abbas, M.D., a board-certified physician specializing in Hematology/Oncology.